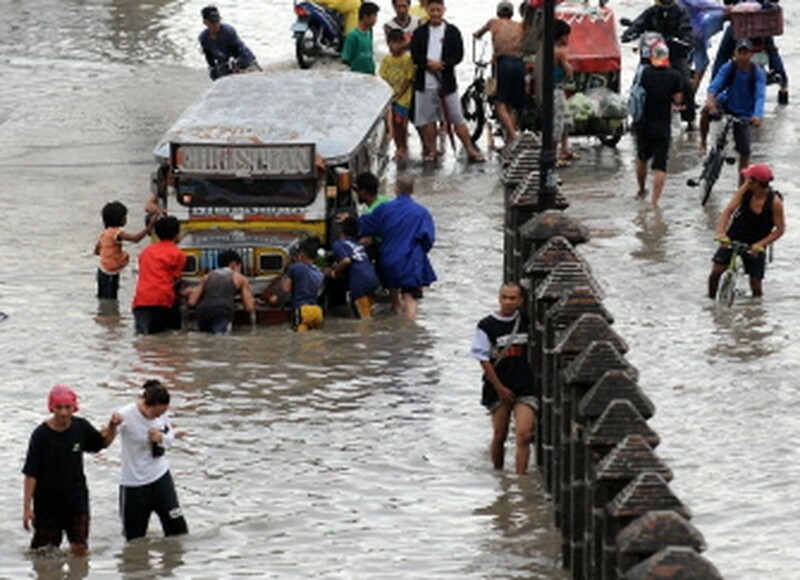 Vietnam is bracing for the first typhoon of the year as the national weather bureau forecast that Conson, which hit the Philippine island of Luzon late Tuesday and is heading into the East Sea, is a strong storm. Vietnam’s weather bureau said the typhoon, packing maximum gusts of 120 kilometers an hour, is heading west into the East Sea at about 25 kilometers an hour. National Center for Hydro Meteorological Forecast deputy director Le Thanh Hai said the typhoon could be one more level stronger. The weather bureau said the typhoon approaches Vietnam’s Paracel Islands early July 14. On Tuesday afternoon, the national committee for storm and flood preparedness put the typhoon on high alert, sending out an urgent notice to coastal provinces from Quang Ninh in the north to Khanh Hoa in the central region. The urgent notice asked fishermen at sea to escape areas of danger. 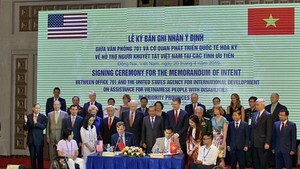 Danang City and Quang Ngai Province, which have many fishing boats currently in the Paracel Islands area, were required to instruct these boats how to escape. This alert was also sent to the ministries of Defense, Foreign Affairs, Public Security, and Transport. AFP reported that several flights in and out of Manila, the Philippines, were cancelled Tuesday as Conson was passing but airport officials said their operations had returned to normal after the storm passed. The typhoon hit the eastern side of Luzon late Tuesday and crossed the island before exiting before dawn Wednesday, AFP said. The news firm added there were no immediate reports of fatalities but communication systems were down amid the chaos of the typhoon’s aftermath, and disaster relief officials were still trying to determine the extent of the damage.